Phone Check and Test is designed to quickly test your Android phone or tablet. It provides an easy to use guided process to quickly check and test all of the main components of an Android phone or tablet. Phone Check and Test provides 3 main functions: Monitor phone, a guided phone test and a phone test report. 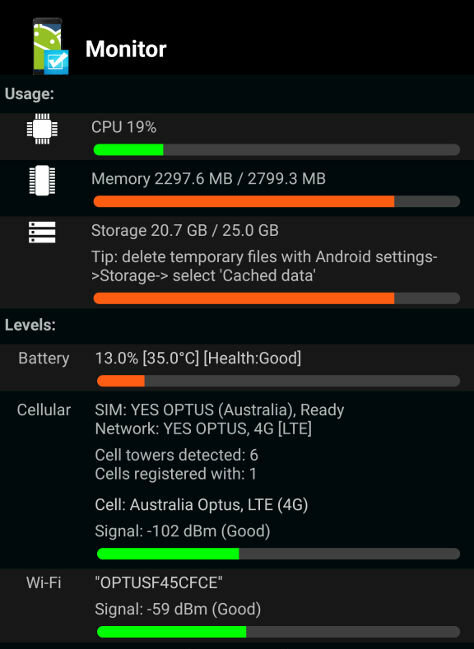 Phone Check and Test allows you to monitor your phone’s current usage of: CPU, memory, storage, battery, cellular (SIM, network, cell towers and signal strength) and Wi-Fi. Phone Check and Test goes through a series of easy to use checks and tests followed by automated testing to test an Android phone or tablet. More information on Screen Overlay Detected. An HTML results report is produced and can be emailed on the completion of the test. 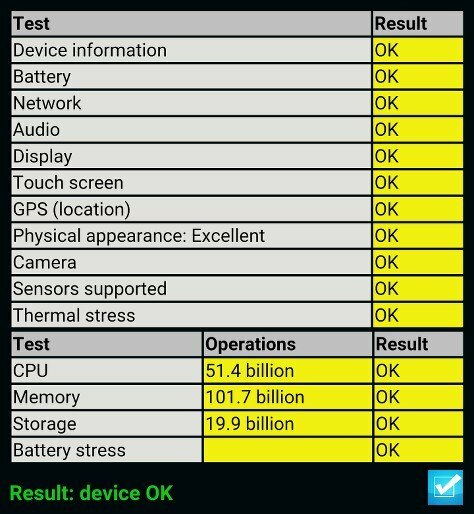 The report shows the test results and device information.